Remove from grill and transfer to a baking dish. Spread with Grey Poupon. Mix Black Dog Belly Rub and panko. Sprinkle over chicken bake for 10 minutes. While chicken is baking, add romaine halves to a medium-high grill cut side down. Grill for 2 to 3 minutes. 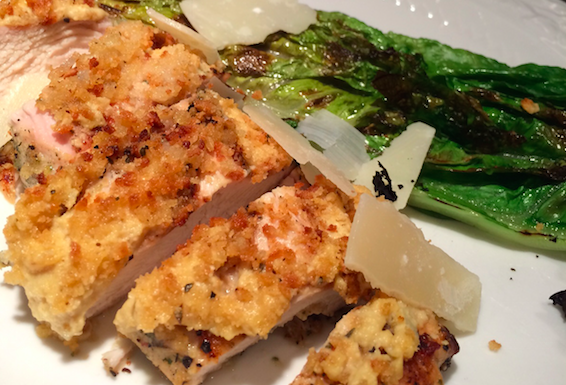 Remove chicken from oven and add shaved parmesan on top.